Finadium’s Josh Galper spoke with Stephen Malekian of Elixium to hear his views on buy-side market adoption of All to All, trading patterns, and the growth of the collateral ecosystem. Josh Galper: We’re now in the second year of active All to All platform development. Where are buy-side firms in their adoption? Stephen Malekian: A number of buy-side firms understand that their access to repo has been impaired, and that All to All is a new point of entry to the financing markets. Even clients who have been treated well realize that bank access may not be there forever. Having some portion of your financing on direct, and outside of the traditional financial counterparts doesn’t seem like a “nice to have” any more. You can no longer be reliant on the traditional counterparts to give you access to the repo market when regulations have essentially made it [accessing the repo markets] mandatory. Having more control over that process, at this juncture, seems prudent. JG: What functional changes on the buy-side need to happen for All to All engagement? SM: Clients need to recognize that the financing landscape is changing, and if they want continued access, an All to All option is a strong choice. Functionally, clients would access the market electronically with a clear and transparent look at where specific collateral baskets were trading. Instead of receiving bids for collateral, they could participate in the market via a central limit order book much the same way dealer to dealer activity takes place today. Cash providers, instead of accepting rates, would be able to determine for themselves where value is in the market. Being price makers instead of price takers puts the control and responsibility in the hands of the client. In the All to All market, a buy-side firm does not have to pay for bank balance sheets if they are comfortable with another buy-side firm, but this remains a choice. Buy-side firms can either manage their own risk and counterparty exposure, or they can pay a bank counterparty to provide this service for them. In the event liquidity dries up, or pricing becomes distorted around quarter end or catastrophically as it did in 2008, then having some portion of your repo financing on direct gives one a relative degree of protection. We’re hearing this come up more often these days. JG: In the past, buy-side credit approvals have slowed adoption of All to All networks. Has there been movement in recent months? SM: There are no membership criteria in All to All besides signing the documentation. After that, haircuts can be negotiated, credit lines assigned, and risk parameters agreed upon. No client has to trade with any firm that doesn’t meet their credit criteria. That’s an important point in the way the platform works that often gets lost on credit departments. You can’t lift an offer or hit a bid on Elixium without all the above criteria having been established. That should give comfort to many a risk officer. JG: Speaking of trading strategies, what kinds of haircuts do you foresee on the Elixium NA platform? SM: We’re seeing the same haircuts as you might find in the traditional market, for now. Haircuts have to remain commercial and competitive but to that end we leave haircuts to the counterparties when users sign the MRA and negotiate a schedule. While you might think that firms worried about credit exposure would ask for higher haircuts, there is still enough supply at lower haircuts that Elixium users can’t demand anything higher than the current market standards. For our part, we do not want to standardize haircuts for every collateral type as that would hurt liquidity. Additionally, users can manage their credit and counterpart risk in real-time on the Elixium platform. JG: As more market participants understand the value of a collateral ecosystem, where do you see All to All fitting in? SM: We’re finding quite a number of partners and technology firms that both want us to connect and want to facilitate their clients connecting with us. This tells us that the market is seeing synergies across All to All and their own products. This is happening not just in the collateral markets where we would expect it, but from cash markets and where clients are looking for financing opportunities. The more that a cooperative network exists, the more everyone will benefit. It’s an exciting time to be in the space and there is a great deal of work being done by firms trying to figure out how best to partner and position themselves. Our job is to launch the platform with as many collateral and liquidity providers as we can to establish critical mass and initial volumes that will attract other users and counterparts. Concomitant with that, we’ll be looking to leverage the resources of any CSD, exchange, or other platform that sees us as a financial solution for their clients. More broadly, there are four pillars to the repo business: 1) bank to non-bank; 2) bank to bank on CCPs; 3) bank to non-bank on CCPs; and 4) direct repo (non-bank to non-bank). All to All makes these pillars more efficient but doesn’t infringe upon or cannibalize existing bank business. I think the entire business will change considerably over time. While there is continued experimentation going on, we see a genuine need for the All to All model across a range of repo market participants. We want to be the change agent that helps move that along. JG: Where do businesses like Elixium stand if more volume moves to CCPs? SM: The buy-side firms that are being ushered into a CCP meet the definition of the CCP’s membership requirements, or alternatively need to be sponsored by a bank. Banks are encouraging the move to do more business. While the biggest firms may do more business on a CCP, that leaves a very large number of buy-side clients across asset managers, insurance companies, hedge funds, and corporates that still need repo products. This group has already seen balance sheet availability decline in recent years. They will need to take action to keep their positions stable, especially as regulations like the Net Stable Funding Ratio pressure banks to further restrict their counterparties, collateral types, and tenors. JG: What are the next steps for All to All platforms in the market? SM: I see two trends, one driven by trading activity and one coming from the growth of new technology platforms. On the trading side, if more business is done on CCPs and bank net interest margins continue to shrink, balance sheets will be taken down further. Financing has gained balance sheet in 2017 because of consistency of revenues, but this situation should not be considered the new status quo. Balance sheet availability for financing went down by some 80% on a net basis after 2008. While they are up now, a loss of revenues will mean they will likely fall in the foreseeable future. This will leave market participants again in a tight spot for financing, which in turn should encourage transactions between non-bank counterparties. On the technology side, there are points of overlap between collateral and liquidity management, margin optimization, order management systems, and post-trades processing, with trading platforms in the middle. The better these firms cooperate, the better they can serve market participants and their shareholders; there are natural synergies here. Elixium is pleased to be part of this ecosystem and looks forward to working with the market to deliver liquidity and optimal pricing, which is the end goal for all of us. 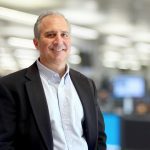 Stephen Malekian is Head of Business Development – US for Elixium. He has over 35 years of experience in the global financing markets, having run Global Fixed Income Finance and Prime Services at Citi and European and Asian Fixed Income Finance at Barclays. Steve has been Chairman of SIFMA’s Executive Committee of their Funding Division, member of the New York Federal Reserve Task Force on Triparty Reform, as well as a member of the European Repo Council and the LCH Risk Committee.